Yesterday we got to work on our Shoulder Presses at Jersey Devil CrossFit Kids! When teaching our kids the shoulder press we start out with nothing at all. The kids learn the general form for the shoulder press and once they can do that, we progress to shoulder presses with small pvc pipes that mimic dumbbells. 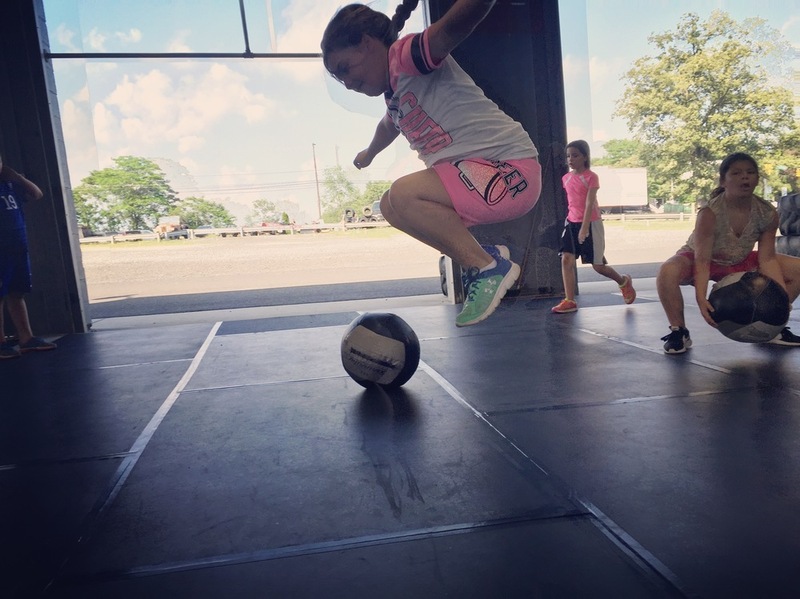 Our older CrossFit Kids get to use light weight dumbbells and, once they show us perfect form and stability with semi-challenging dumbbell weight (like Gracie had) we move to light barbell work! Our kids continue to amaze us.